Visual support strategies have been used to successfully support children, youth and adults with autism and other developmental disabilities for decades. Many are familiar with the use of visual schedules, but there are many ways in which visual support strategies can be used. These supports have been demonstrated to increase independent functioning, teach specific skills, improve environmental awareness, teach rules and social expectations, reduce problem behavior and so much more! There is a large body of research to support the use of these strategies with children, youth, and adults in home, school, community and employment settings. Dr. Brenda Fossett, BCBA-D, is an inspired teacher who is widely admired for her ability to convey complex concepts to those who work with children and adults with special needs, whether they are educational professionals or parent. 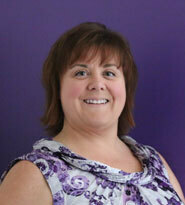 Dr. Fossett has been on faculty in the Applied Behavior Analysis - Autism Department at Capilano University since 2013. Prior to that she was Assistant Professor (Special Education) in the Department of Educational Psychology at the University of Alberta. She is also a certified teacher of the deaf, as well as being a Board Certified Behavior Analyst. Dr. Fossett has extensive clinical experience providing behavioral/educational consultative services to children with ASD, deafness, and other developmental disabilities in home, school, and community settings. Her scholarly and clinical interests include: applied behavior analysis, the implementation of positive behavior support in home and school settings, and educational interventions for deaf children with developmental disabilities. For more information on Dr. Fossett see www.capilanou.ca/abaa/diploma-post-bac/Faculty/.